You guys. I am so excited to announce that I’ll be painting monthly printables for the fabulous Graphics Fairy, starting with this pineapple watercolor printable! If you like any vintage images then I’m sure you know who The Graphics Fairy is. She has an incredible library of free images that you can use for all sorts of projects. I’m fortunate that Karen’s a dear friend of mine but I never dreamt I’d be fortunate enough to be painting for her site! Besides her incredible blog , The Graphics Fairy also has an incredible membership available where you can get exclusive graphics and images. And some watercolor collections each month painted by yours truly. ahem. I hope you’ll drop by The Graphics Fairy and grab my pineapple watercolor printable along with the line art pattern! I love the pineapple. 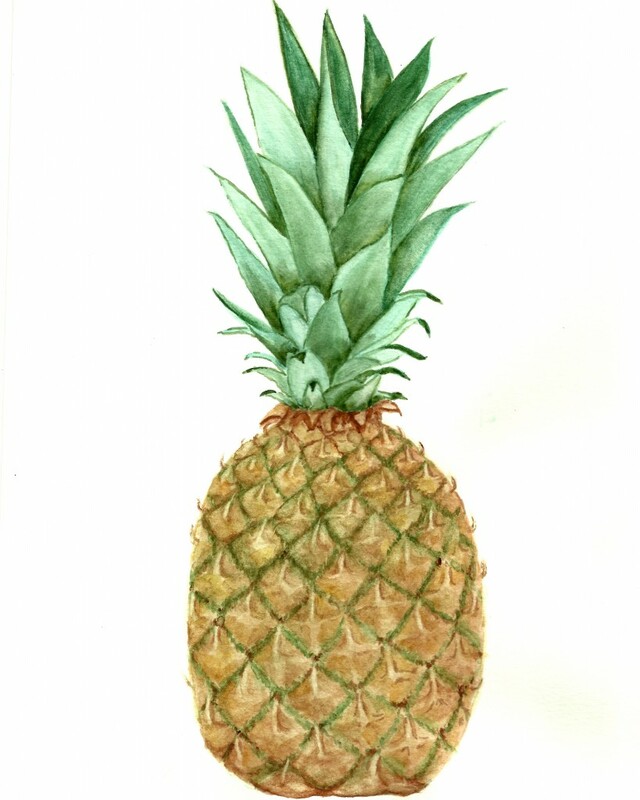 I have taken a few water color classes and have no idea how I could do something like this pineapple. Great for you on being featured, and I will be watching. Thanks so much, Nancy. To be honest, I had no idea how I was going to do the pineapple either. I spent one day just trying different methods until I finally landed on something. That’s how I’ve always painted, although a bit of pressure since this was for Graphics Fairy! When I get a little more comfortable, I’ll do some videos.